As seen on Smackdown, Becky Lynch explained her actions at Summerslam, saying she is sick of her ‘friend’ stealing her spotlight. You act like you are with her, but were you the whole time? There was no hashtag 'Give Becky a Chance'. When Charlotte weaseled her way into the match, she got some tweets, but there was no boycott. When Charlotte stole the title from her, you cheered the new champion. 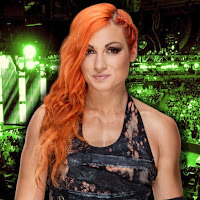 Whenever anyone asks who the greatest of all time is, Becky Lynch is not the first name out of your mouths. Becky says she has been made an afterthought. After a few nights, that is not going to change. The music interrupts and out comes new SmackDown Women's Champion Charlotte Flair to the stage. Flair takes off the title and holds it up, talking trash to Becky. Flair runs to the ring and they start brawling. Flair takes the fight to the floor as referees try and break it up now. They bring it back in the ring and some fans chant for Becky as she boots Flair. Paige comes to the stage and brings out the rest of the women's division. Superstars hit the ring to hold them back as a "let them fight" chant breaks out. They keep breaking free and fighting. Fans chant for Becky now. Flair tackles Becky out of the ring and then jumps off the apron at her. We go to commercial as the two are held back.